Almost exactly 1 year ago, I started practising Yôga. After years of talking with a very close friend mine about it, I decided it was a good time for me to start walking that path. In the beginning, I just saw it as a way to connect with my body and gain some long-postponed insight into physical intelligence. But I didn’t know I was up for a much richer and deeper journey. A word of warning before I start: the following ideas correspond to the mental model I constructed around understanding what’s been going on in my learning process. In many cases they don’t represent what my teachers tought me, and they are not meant to convince anyone about them: they’re just a personal log of what I think today, for my personal record. That said, let’s dive in. SwáSthya Yôga is as much about physical awareness as it is about understanding our internal self. The first few months, I was captivated by how much healthier I felt and how I had gained body-consciousness. After my body was up to speed, I started doing some more advanced practices. That’s when I realized Yôga is much more than just physical exercises: it is consciousness gymnastics. The whole idea of the standard SwáSthya Yôga practice, called Ashtánga Sádhana, is to strech and bend our consiousness via special techniques. I won’t go into the details of how the practice is structured, I’ll jump straight into my interpretation of why it works so well. Just like the physical (and most well-known) part of Yôga makes the body bend and stretch to find its limits, so does Ashtánga Sádhana with our consciousness. We start by sitting down with our legs crossed and hands resting on top of each other and over the legs. We then think about all the people who practised Yôga in the past. Being a ~5000-year-old art, we connect to a long line of humans throughout history that sat exactly like us. We stretch our consciousness to the past. We then adopt another sitting position holding our palms together in front of our chest. We imagine how, as we breath in and out, our consciousness transcends our bodies, getting larger. It first encounters our other peers and teacher practising next to us, expands to the building where we are, and ends up connecting all other schools and Yôga practitioners in the world. We expand our consciousness to the world around us and others. Next is the most extroverting part of the practice. 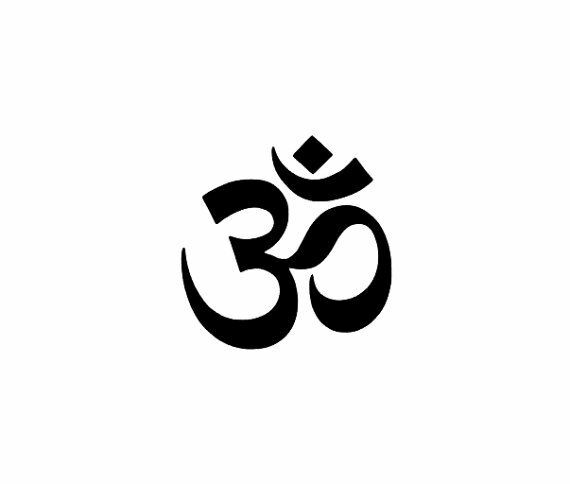 It can mean singing short verses in repetition, or just repeating the word “Om” for a couple of minutes. Doing so puts the mind in a special kind of flow I found familiar from years of playing guitar: having most of our brain busy with producing sound rhythmically, our consciousness is focused on feeling the small changes in each repetition. We dance our consciousness in circles. Then we turn breathing (something we do unconsciously most of the time) into something deliberate and central to the moment. Focusing our attention on something at the verge of consciousness and unconsciousness (breath) has tremendous power over how we percieve subtleties about ourselves. This has a calming effect, and gives us great insights on our emotional lives. We focus our consciousness on our breath. Next is what most people would call Yôga: physical poses. All of our attention goes to the body in movement. We perform a series of body positions in a very slow and controlled fashion, guided by our breathing. The idea here is to be conscious of how we move to the detail, including when we are transitioning from one pose to another. We peg our consciousness to our whole body in movement. Perhaps my favorite part of the practice involves laying down on the floor and focusing our attention on the body. We start by focusing on our breath, and then move our consciousness up through our body from feet to head. Slowly moving from knees to chest, from shoulders to hands, from face to forehead, we are allowed to “listen” to what each part has to say. We are, quite literally, put in front our ourselves at such a short distance, that we start to atomize, localize and identify emotions, pains, and moods. We bend our consciousness to each body part at rest. At the end of this relaxation, the instructor will typically ask us to take our mind away from our body and into some different mental scene. Either a landscape like a forest, beach, or mountain, or floating above the sea in a raft. Sometimes it gets weirder and we’re asked to image our body dissolves and becomes part of our surroundings, or other mind-bending situations. Coming back from those mental journeys can be tough. Because the mind is in a transition state between waking life and sleep, this mentalizations feel very real and intense. Finally, there’s meditation. For this last part, we focus our attention on a mental image: be it the Om symbol, a golden nugget, a mountain, or a flame. The idea is to keep our monkey-brain set on something and letting thoughts and emotions to drift by, without developing them. This makes our thinking mind very very small, allowing some interesting and often hidden parts of ourselves to speak. We make our consciousness more sensible to intuition. Similarly to what happens with the body, if we stretch it, bend it, and exercise it, our consciousness ends up being sharper, and we achieve a deeper knowledge of how it works. This consciousness gymnastics I’ve been doing for the past 12 months has given me a more stable emotional life, a better capacity to understand what’s going on with my body, and a considerable amount of inner peace. It feels like having superpowers! I’ve learnt this through my own personal experience, and I’m lucky: had someone tried to teach me this in theory they would have found a LOT of resistance from my part. This is why, as I said at the beginning, I’m not trying to convince anyone about this ideas. I’m just recording them for my own convenience. The good thing about all this is that you don’t have to believe me or any authority about it: you can try it yourself!